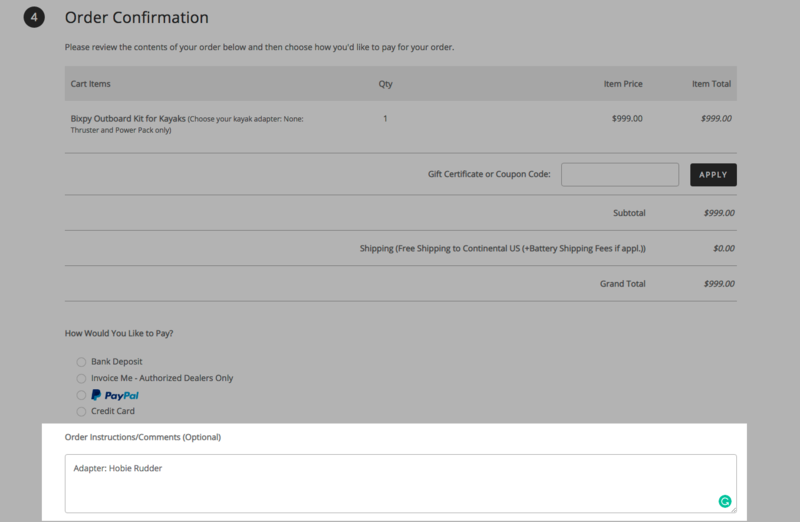 Bixpy is offering a deal like no other: get a FREE ADAPTER* and FREE U.S. SHIPPING* for every purchase of a Bixpy Outboard Kit (for kayaks or standup paddle boards). To get this deal, simply purchase an Outboard Kit only and indicate on the Note section the adapter type you want (at the bottom of the Checkout Page). 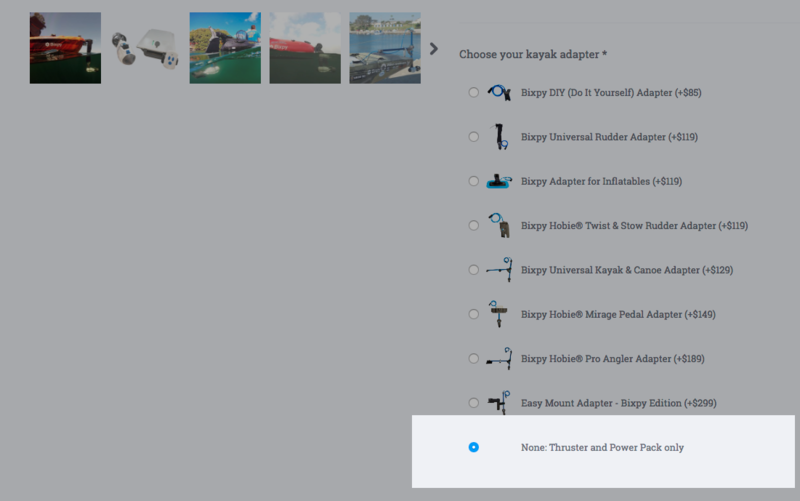 Step 1: When you go to the Outboard Kit Page (for kayaks or standup paddle boards), please select the option "None: Thruster and power Pack only"
Step 2: Indicate on the Note section the adapter type you want (at the bottom of the Checkout Page). Get your complete set of a Bixpy Jet for $999 only! *Offer valid only in the United States from November 21 to November 28, 2018, while stocks last. **The Easy Mount Slipstream Adapter - Bixpy Edition is not included in this offer. *** Free U.S. shipping including Alaska and Hawaii with orders of $50 or more.